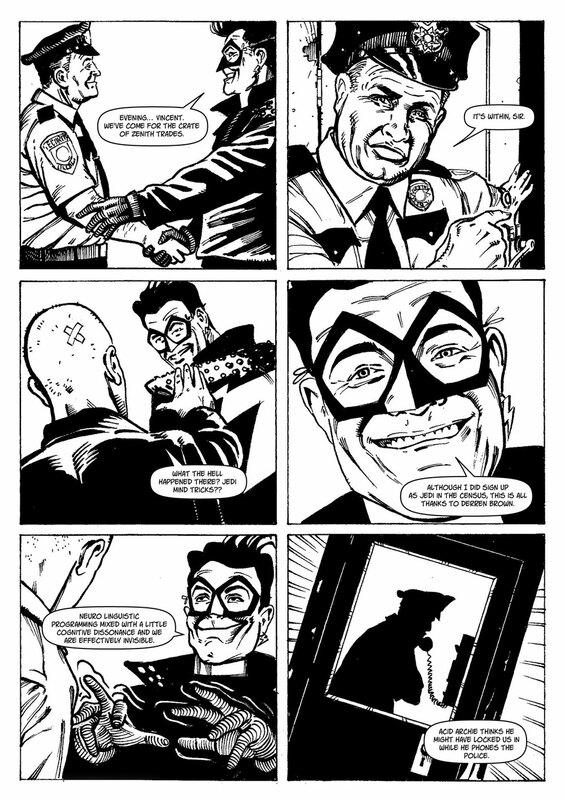 Colt-45 is a Kickstarter by FQP creators Chris Redfern and Darren Mullen. Following on from them working together on Future Organic for FQ23, Colt-45 is a title the pair hope to deliver in time for Bristol 2014. Looking at the page at the time of posting, I’m hopeful that this project is indeed going to be completed! I’m sure all out there wish them well and would be interested in seeing how this turns out. 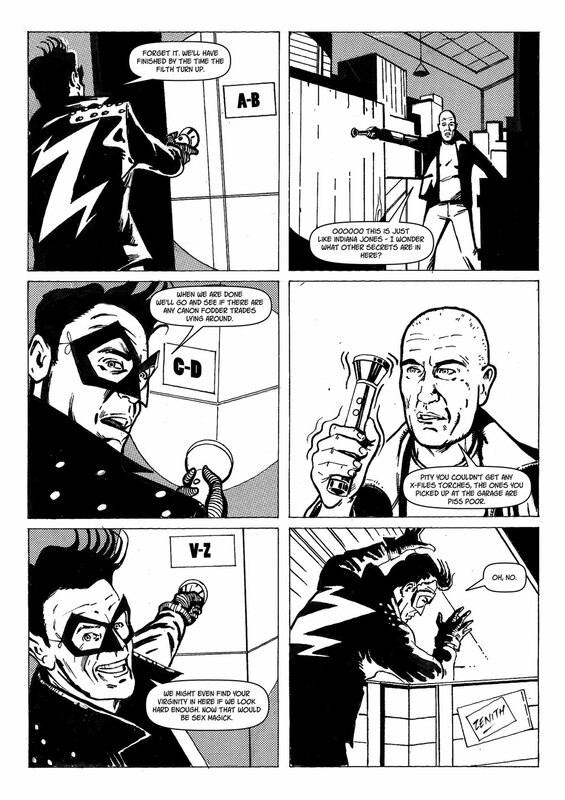 Zenith: The Great Trade Robbery. 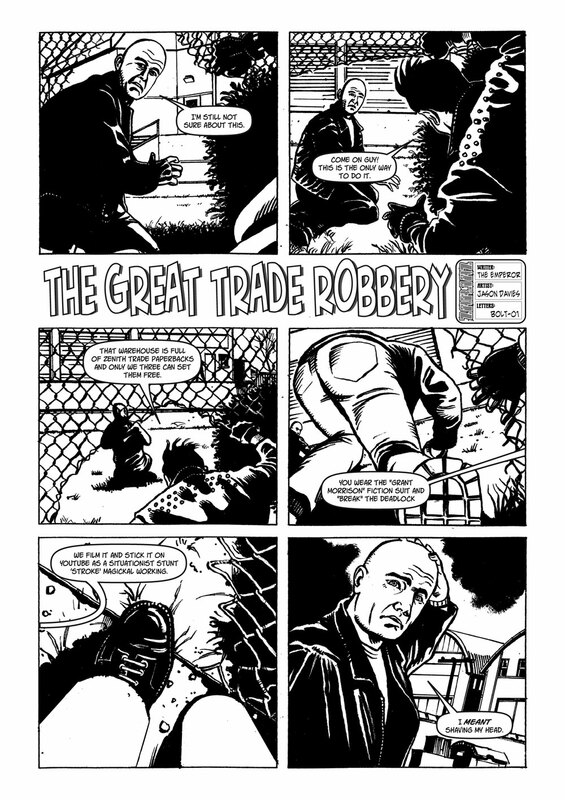 Originally conceived for Zarjaz, The Great Trade Robbery is a cautionary fable regarding the possible existence of trade paperbacks featuring Zenith: Phase 1. 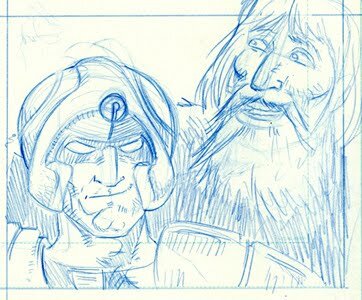 The story is by The Emperor, and art duties are handled with astounding skill by Jason Davies, lettering is, as always by Bolt-01. 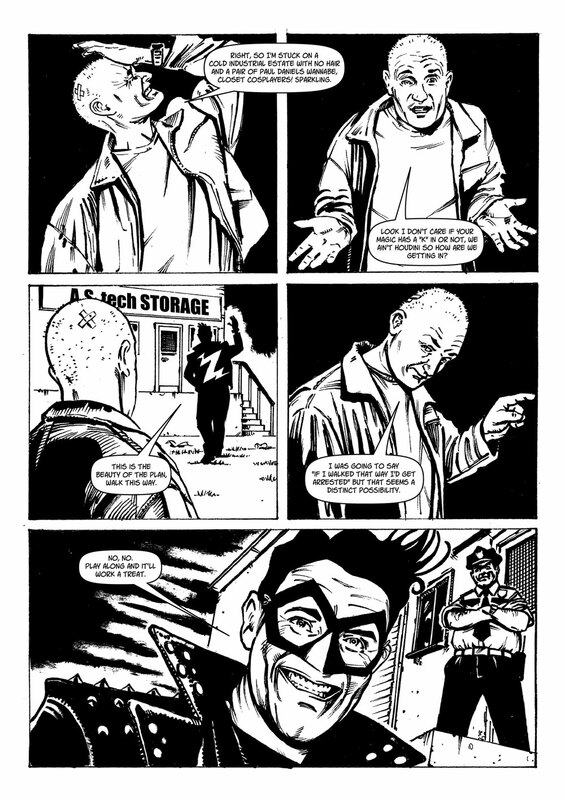 Dogbreath 27 is being released from GCC custody and will be available very soon. 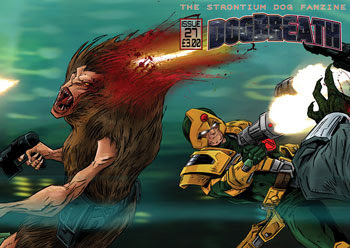 Beneath the special cover by Ben Willsher we are proud to present 7 stories based in the universe of the STRONTIUM DOG. You norms don’t deserve it, but we are doing it anyway. 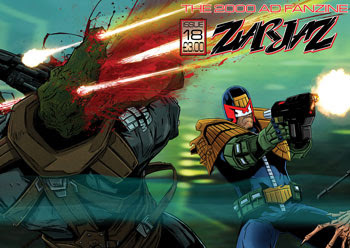 Over in Zarjaz 18, we bring you the latest all JUDGE DREDDworld issue of the 2000 AD fanzine. 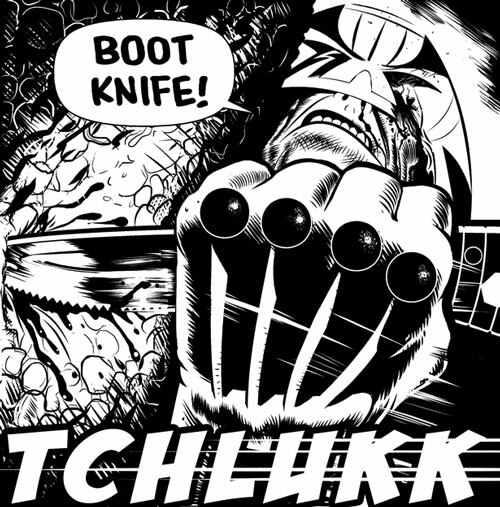 The 8 strips inside are so Thrill-powered that Peeps has had to have extra shielding installed, or maybe that shielding is to protect him from the wrath of Tharg when TMO realises that the covers above form a continuous image- something that 2000 AD and the Megazine have never done. Both of these titles will be available soon from The FQP Webshop! Yeah, I know what you’re thinkin’. And yeah, we think it really is that good. FutureQuake 23 is so ready I can taste it. 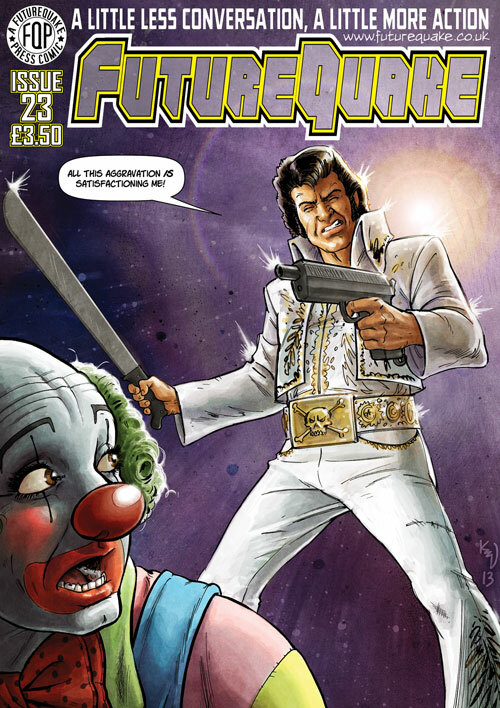 This issue is packed with 11 strips, by a mix of creators so varied that you will understand why it has taken so long to get the comic ready. Details to follow and pimpery imminent. Brace yourselves- this one might get rough! I don’t think I can top that. 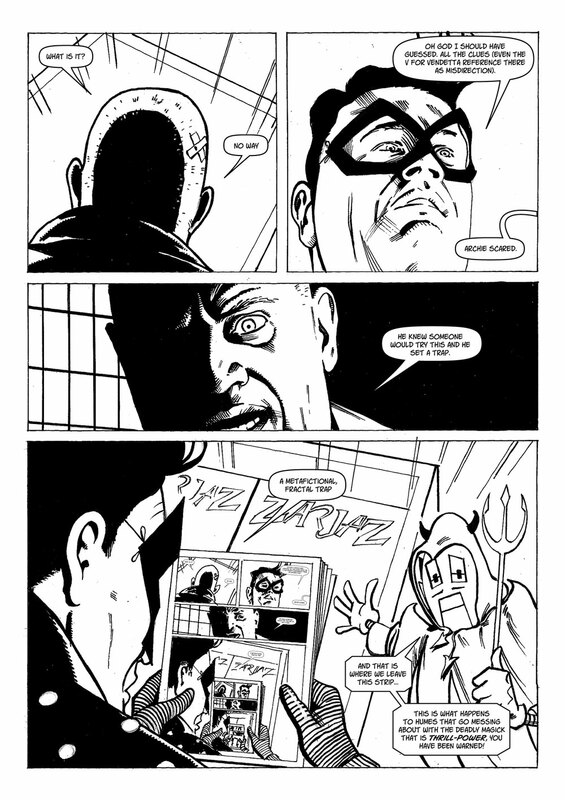 Jurassic Farce is written by Lee ‘Babble’ Robson and has art by the enigmatic Bubba Zabbil! 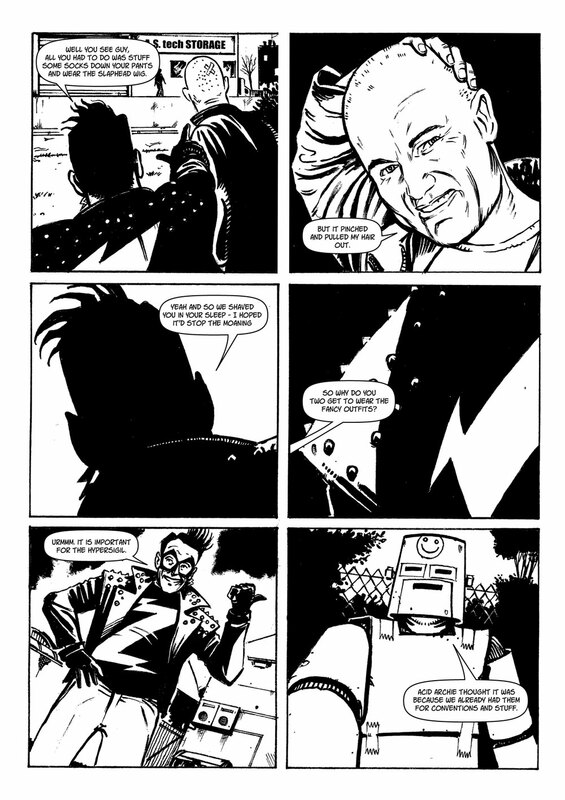 Over on the Everything Comes Back to 2000 ad blog, Richard has posted up a strip that he and Flint did for Dogbreath 23 in it’s entirety, Enjoy!